Welcome to the first blog for The Somerset House Inn. We’ll give you the latest gossip in town, restaurant and/or show reviews and a general update of what’s happening in Provincetown and with The Somerset House Inn. We’re in the first official week of fall so things are starting to cool off in Provincetown. But, it’s still an absolutely beautiful time here in Provincetown. Almost all restaurants and stores are still open although some may cut back their hours a little. The first business we’ve heard that is closing for the season is Relish, I guess with their off the beaten path location business slows down quickly for them. Of course we had to pick up our last lunch there along with cupcakes and orange/carrot cookies. The sandwiches are so good, but for me Relish is all about the cupcakes and cookies. And if you ever need a cake for a special Provincetown event the coconut cake from Relish is our favorite! I had a business lunch on Sunday and went to Hot L Bar and Grille which is in the old Michael Shay’s space. Sunday is a buffet brunch ($10) until 1pm which includes a strata casserole, eggs benedict, bacon and sausage, scrambled eggs, home fries, corned beef hash, buttermilk pancakes, flippers, fresh fruit and oatmeal. For an extra $2 they will make you an omelet to order. OK, I’ll be honest any buffet that includes all the bacon I want is a winner by me. The only things I didn’t care for were the corned beef hash which should not be a surprise because I don’t like corned beef. I didn’t even try the pancakes because no one can make pancakes like Bob at The Somerset. My server said they were going to be open year-round except may 4 to 6 weeks for some renovations. Overall atmosphere is kind of like a comfort food diner, I think it may be worth checking out their dinner. 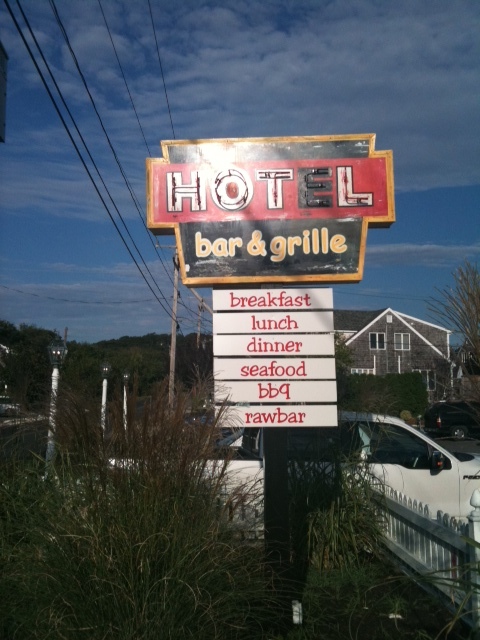 And don’t forget when you need Provincetown lodging The Somerset House Inn is here for you. We’re open year-round and would be happy to have you stay with us. We think we have one of the best locations in Provincetown, right on Commercial Street where you are steps away from everything. Please click on the link below to check availability and to make your reservations.